Nattokinase is an enzyme isolated from Natto, a traditional Japanese fermented soy food. Natto has been consumed for thousands of years for its numerous health promoting properties. 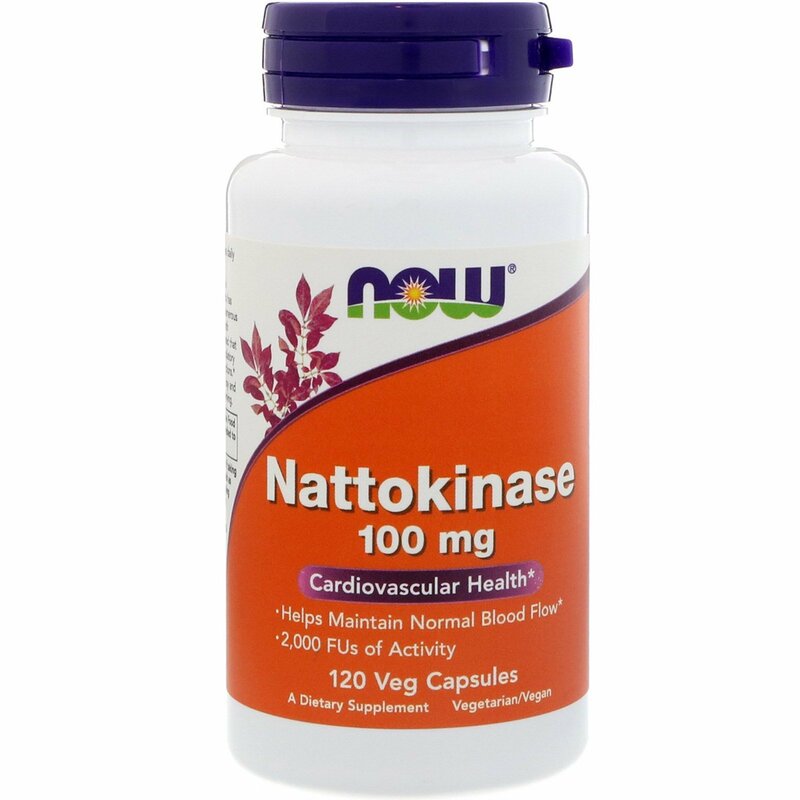 More recently, both clinical and non-clinical studies have demonstrated that Nattokinase can help promote heart and circulatory health by supporting normal blood clotting functions. 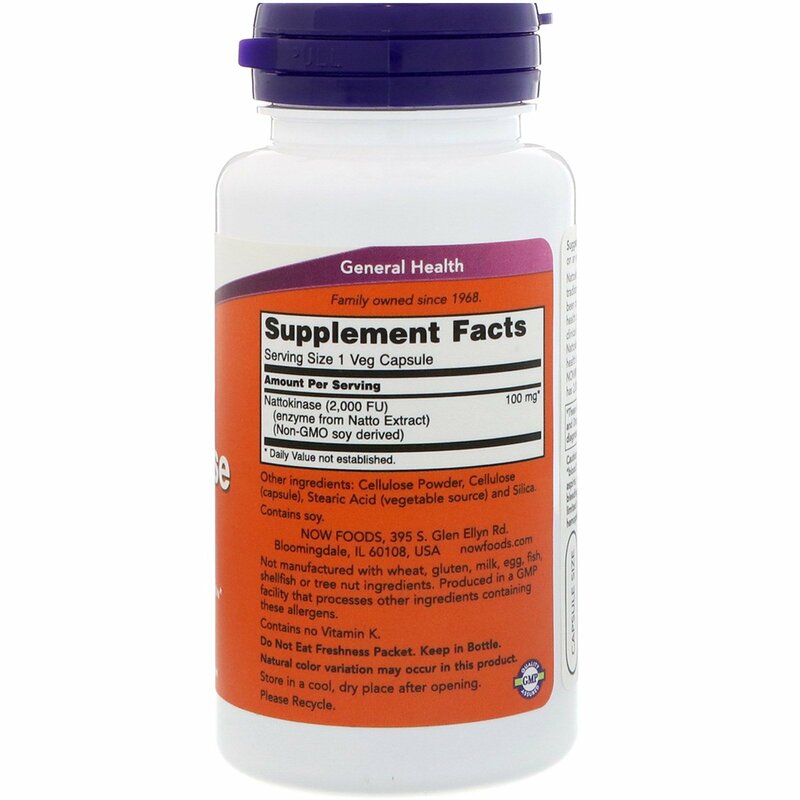 NOW Nattokinase is derived from non-GMO soy and has 2,000 FUs (Fibrinolytic Units) per 100 mg serving. 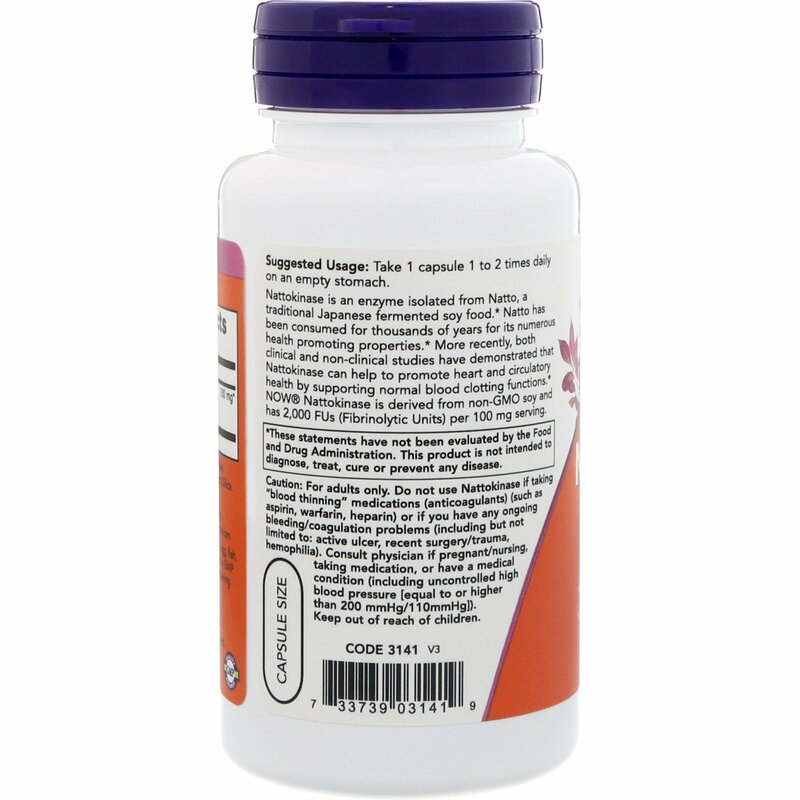 Take 1 capsules 1 to 2 times daily on an empty stomach. Caution: For adults only. Do not use Nattokinase is taking "blood thinning" medications (anticoagulants) (such as aspirin, warfarin, heparin) or if you have any ongoing bleeding/coagulation problems (including but not limited to: active ulcer, recent surgery/trauma, hemophilia). Consult physician if pregnant/nursing, taking medication, or have a medical condition (including uncontrolled high blood pressure [equal to or higher than 200 mmHg/110mmHg]). Keep out of reach of children.